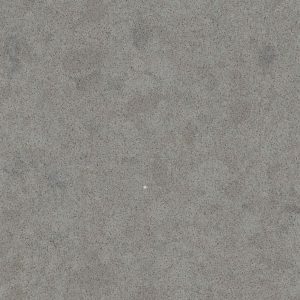 Montblanc Caesarstone Quartz features a light grey background with a whirlwind of dark grey veining. 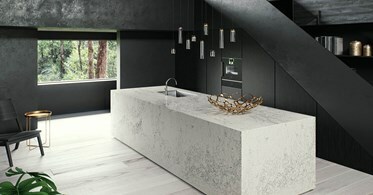 Named after the highest peak in the Alps, Montblanc Caesarstone Quartz countertop brings the coolness and staggering beauty. 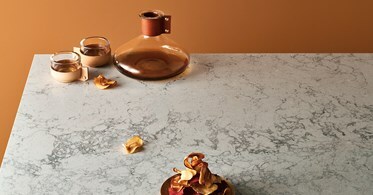 Yes, nature-inspired countertops can look romantic, too! 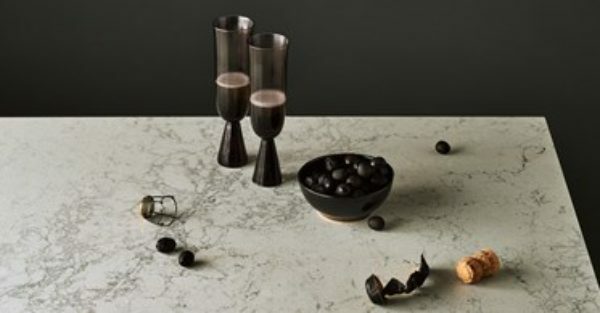 Montblanc Caesarstone Quartz countertop material is great for applying in both residential and commercial spaces, providing an amazing performance – durability, low maintenance, and superb design. 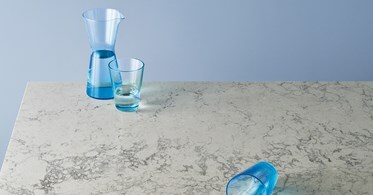 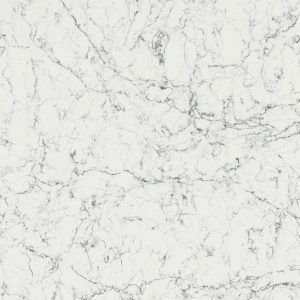 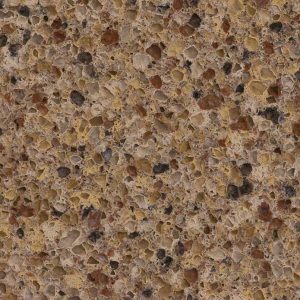 Montblanc Caesarstone Quartz Price is $64.99 and it includes a free estimate, free stone fabrication, free edge treatment, and free installation. 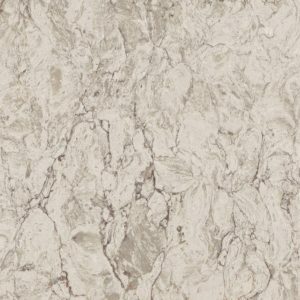 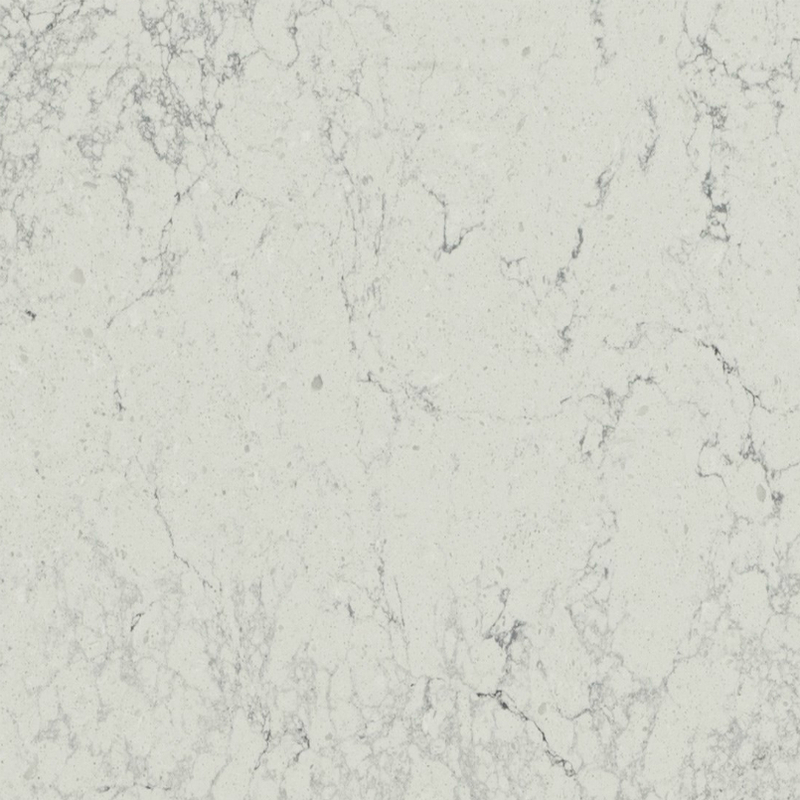 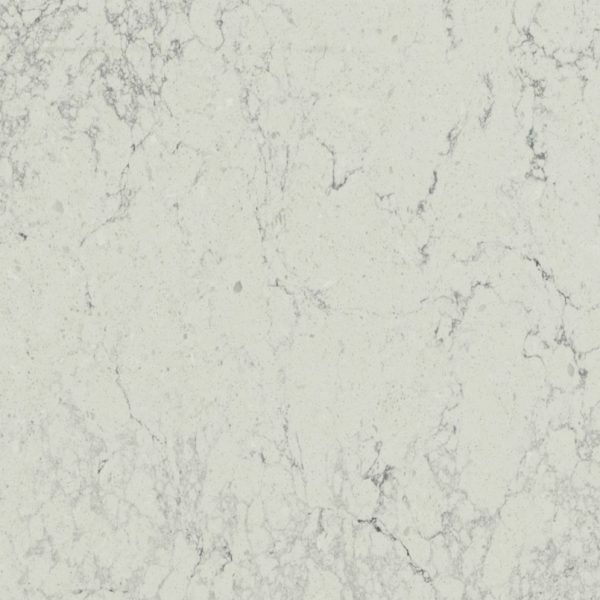 Whether you live in Franklin Lakes, Clifton, North Caldwell, Paterson, or any other city in the state of New Jersey, you can stop by our quartz countertop outlet in Wayne NJ and see the whole Montblanc Caesarstone Quartz slab for yourself. 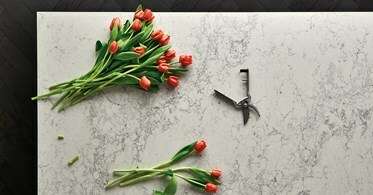 You can also get a free Montblanc Caesarstone Kitchen Design today by filling the form on the right side of the screen.